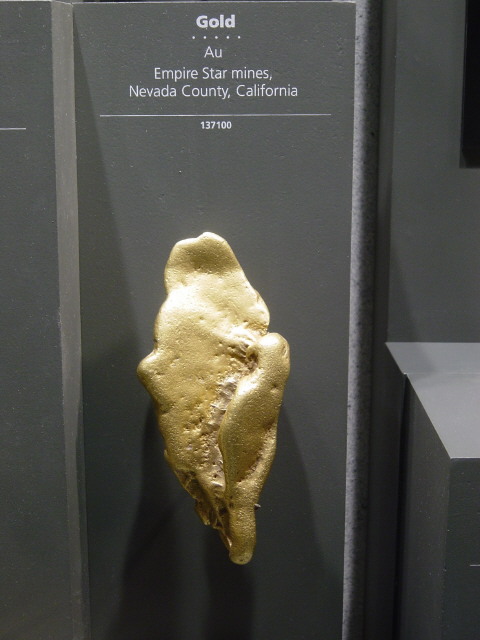 Gold nugget in National Museum of Natural History. Picture taken in April 2004. If I remembered it correctly, the nugget is about 6 inch long.